> A social experience to meet new people, share ideas and network with other Torontonians. All while enjoying hand picked local restaurants and a not so typical night out afterwards. 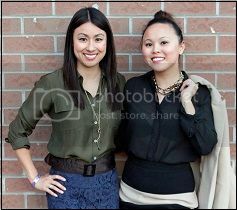 > It's the 10th annual GenNext fundraiser for United Way Toronto. Show your love your community by joining us for an evening of fun, food, drink, and music. > Combining craft with circuitry, this workshop is sure to bring out the architect or engineer in your girl!